For years, TripAdvisor has been the trusted resource I’ve gone to when planning a trip. The Things To Do section helps me pick my destinations, and there’s no better source for real hotel and restaurant reviews. It saves me hours being able to go to one single resource and quickly glean the opinions of thousands of real peers. I also like the ability to put in my parameters, such as filtering to only 4 or 5 star hotels in a certain price range. From my trip to Barcelona when I used the Workshops and Classes section to pick out a cooking school and of course the Sights and Landmarks page, to my weekend trips to Los Angeles where I drill down to each different neighborhood and view the Museums and Shopping sections, TripAdvisor always comes through. When in a bind abroad the Traveler Resources and Transportation sections have been true life savers for me, too. Being able to book reservations and tickets from the website is fantastic, with competitive prices and extras like VIP tours that would otherwise be extremely difficult to find. It makes sense, if I were a hotel, airliner, restaurant or attraction I too would want to partner with the best in the business. 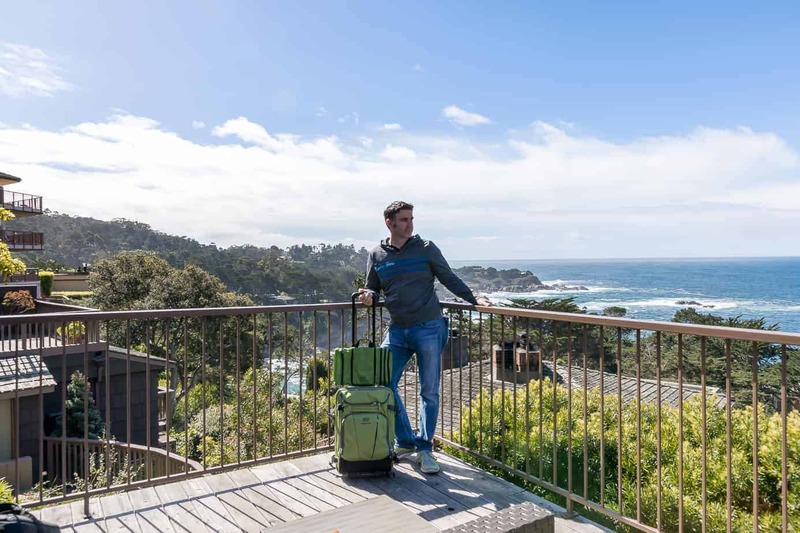 TripAdvisor has the slogan of “Know better, Book better, and Go better.”, and with their being the experts on everything travel they expanded their expertise into luggage with a collection that includes three different pieces that they sent me to try out. Timing couldn’t be better as we took a road trip up to visit Palo Alto and stay at a six star The Clement Hotel, then over to the coast to Carmel for a few days. The luggage pieces included a TripAdvisor 21” Wheeled Duffel , which worked great as my bag for everything I needed on the trip. The first thing I noticed about the bag is that it was tough and durable. A long-lasting bag is far and away the most important thing for me as I’ve had the nightmare of a bag falling apart on a trip in Asia, where I had to quickly buy a replacement bag and was limited to whatever was right there, which ended up being another poorly crafted bag that didn’t last long. It seems like everyone has a bad luggage story so you can probably relate! On the flipside of that the bag was very light, they use premium materials that don’t weigh the bag (and me) down. From the pictures you can see the color is fashionable, with other color options on the website. The bag was extremely functional and intuitive, it seemed as though the handle, every zipper, and especially the many sub-compartments and pockets were well thought out. My valuables were securely stored away, my ID was accessible yet safe, and I had reassurance knowing exactly where everything was in my bag. My husband’s bag on the other hand had one giant compartment with all of his stuff thrown about together…we are definitely on the market for another TripAdvisor bag for him. A second bag from the TripAdvisor luggage collection was the TripAdvisor Slim Toiletry Kit, which similarly had breakout compartments and pockets to separate everything and keep me organized. It’s nice not having to poke through my toothbrush and deodorant to get to my eye shadow…instead it is kept separate with my lipstick and blush. I love that! The bag has a removable hook for hanging when and self-repairing zippers that are built to last. On that note, there is a lifetime warranty by eBags. Another item I tried out was the TripAdvisor Interactive Luggage Tag, a genius idea that lets me put only the personal information that I want to display (unlike a standard write-on tag). With the eBags.com App I keep my personal information in the Cloud and make my information viewable only when I want it, and receive messages about my bag while staying anonymous. I have felt vulnerable a couple of times, especially when abroad and having my key information paraded out on a luggage tag did not help. This product makes use of the technology age we are in, thank goodness. My readers can get a special 25% off discount on the entire collection + 20% off nearly everything else that eBags.com sells! 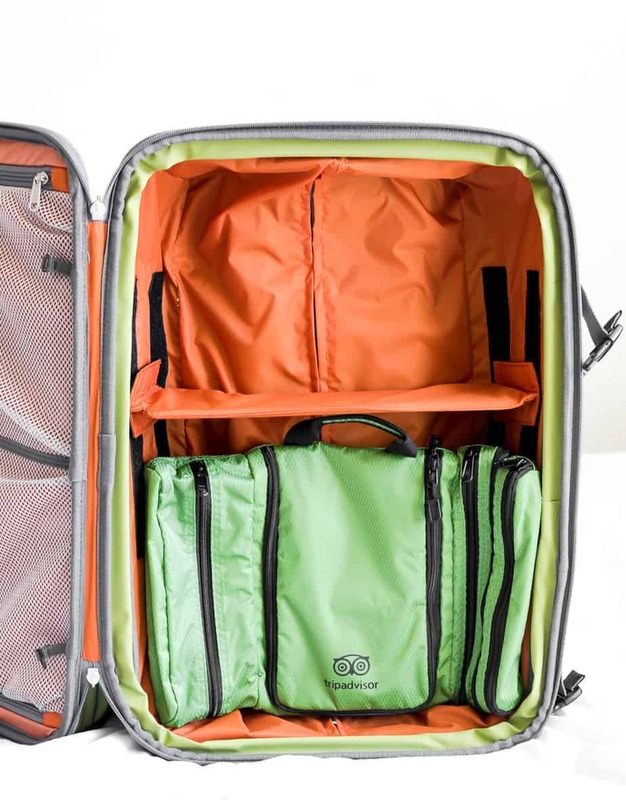 I personally loved showing off the cool TripAdvisor owl logo, but eBags has tons more luggage to choose from, as well as tons of other cool products that span across travel accessories, clothes and more. I didn’t know TripAdvisor hade their own luggage line!! How cool!! I need to look into this!! It’s always so hard to find the perfect luggage that is lightweight and will stand the test of time. This one sure looks like a good bag and I love the color. I travel a lot, so lightweight is always better. This sounds like a great bag and I love the color. Sounds like some really nice luggage to purchase. Nothing worse than seeing your luggage taped together coming off the belt at the airport. Light weight luggage as a must. You can eat up wayyyy too much of your pound allowance if you don’t have lightweight luggage – plus you have to lug it around. These are a great find! Yessssssss when you travel lightweight luggage is SUCH a must. I remember once we were shared $75 for being 1 lbs over on a bag. So now we make sure to travel SUPER light. This is an awesome find. 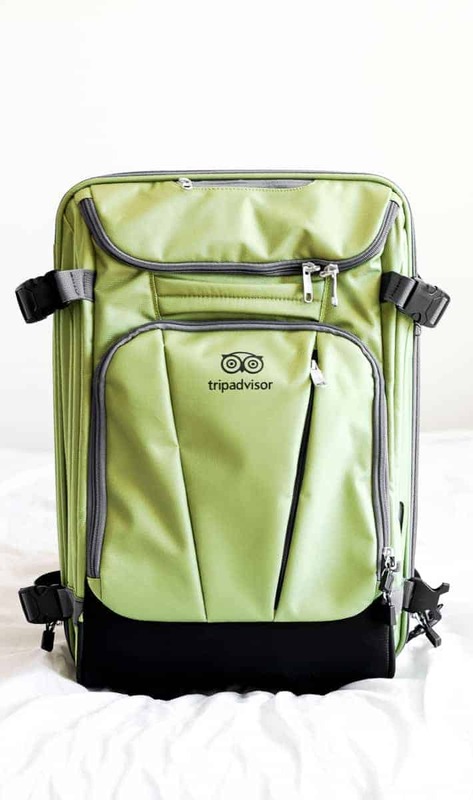 I had no idea that TripAdvisor made luggages, how awesome! I’m an avid traveler and having a lightweight luggage is a MUST for me. I will check out eBags.com. We have a trip in July and I might need some lightweight luggage. 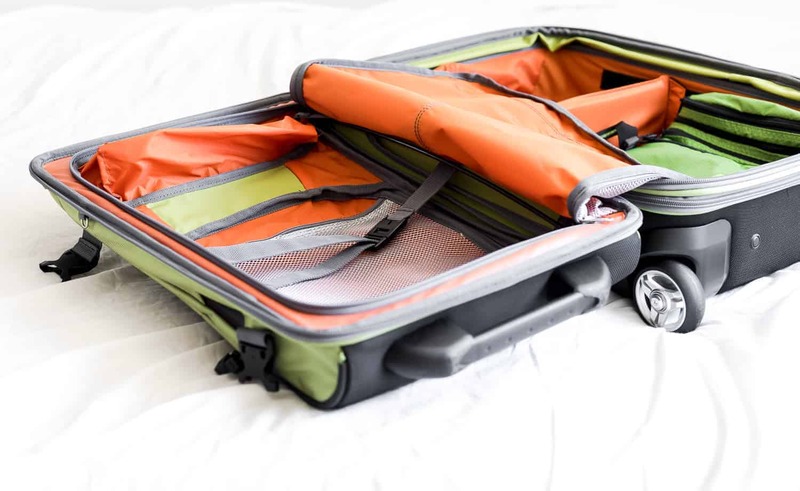 I think this TripAdvisor luggage you featured is so cool. I love the color. So easy to spot on the belt. I like this luggage because as you said it is light weight but looking at the photos, it also looks roomy enough to fit my travel essentials. Thanks for letting me know about eBags. com. I’m checking this out. Loving the design of this luggage and if its lightweight, then I am in. Checking this product out. I love TripAdvisor and I want to be a Travel ambassador too! This is perfect for a carryon! I’ve know Trip Advisor for the longest time but I didn’t know they had a luggage line! This just looks great and I’m gonna check it out– perfect for our next trip. Luggage is one thing that as a traveler one has to bear with. We love to travel light and hence we always are on the lookout for light weight luggage, This seems a great option. This seems like a great travel bag option! With me having three kids and all that is involved with traveling with them having light weight luggage is a great idea! I love Trip Advisor. I love how green the bag is like their logo!